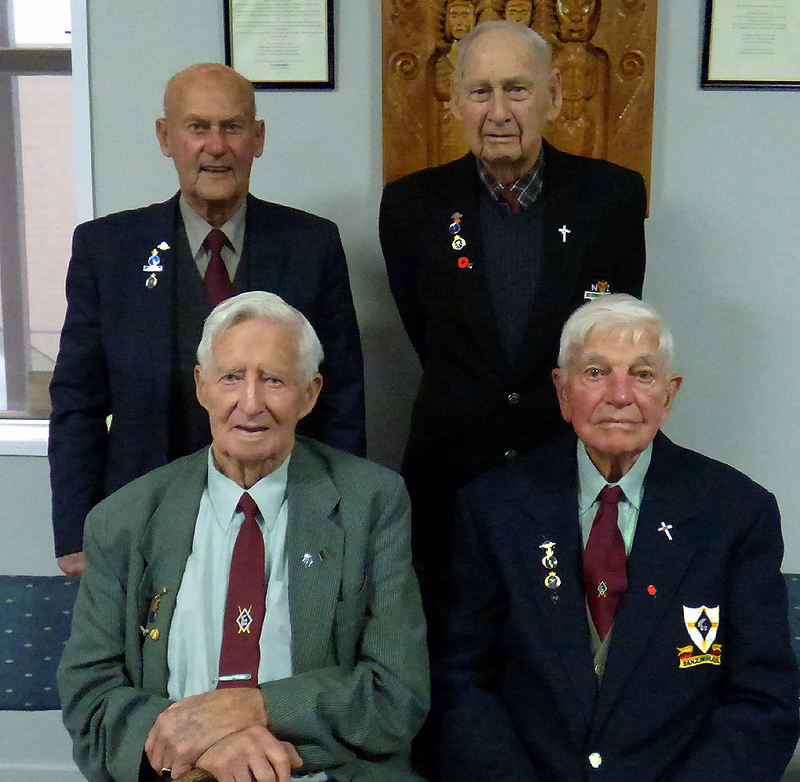 On Wednesday the 25th of June 2014 the “Courage And Valour: New Zealanders In The Italian Campaign” series and website had it’s official public launch at the Te Awamutu RSA. 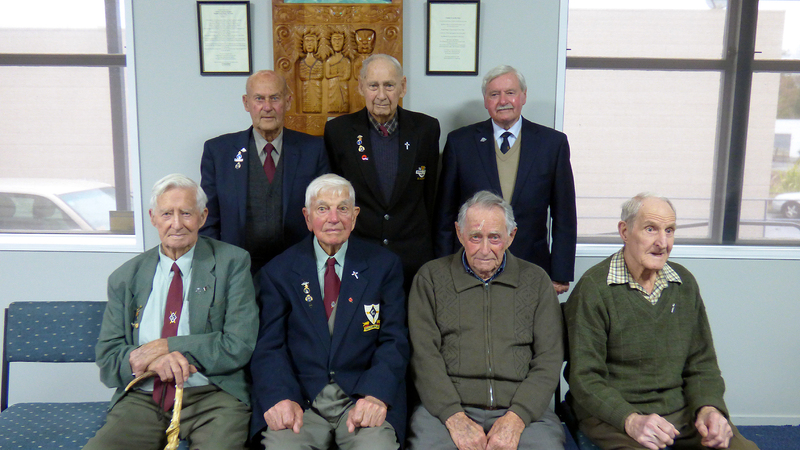 This happened during the annual Kings Empire Veterans mid-winter dinner, and there were over 70 people present, most of whom were NZ war veterans and their wives or family members. I had the opportunity to project the website up onto a screen and show the veterans through the website. I also played some of the audio from the second episode, which was received extremely enthusiastically. There were seven veterans present who’d served in Italy. They were Colin Murray, Harry Hopping, Galvan Garmonsway and Fred Blank who’d all served in 24 Battalion; Brynn Hughes who’s been with 25 Battalion; George Falconer who was with the New Zealand Field Artillery; and Alan Peart DFC who’d flown Spitfires in the Sicily and Italy campaigns. I took the opportunity to get the Italy veterans together for a few photos. I had met six of these gents before and all of them have been interviewed and will appear in the series, in fact five of them are already in the first couple of episodes. I had not met George before and was most pleased to make his acquaintance. I very much hope to get back to Te Awamutu and interview him very soon. 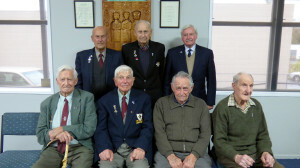 The seven Italy veterans. Standing, left to right are Colin Murray, Harry Hopping and Alan Peart DFC. Sitting, left to right, are Fred Blank, Galvan Garmonsway, George Falconer and Brynn Hughes. The 24 Battalion veterans, Colin, Harry, Fred and Galvan.